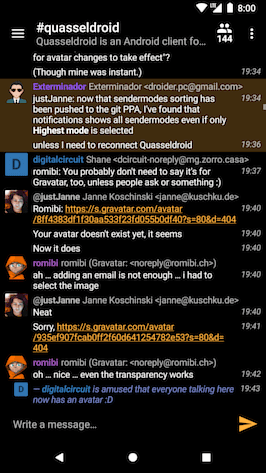 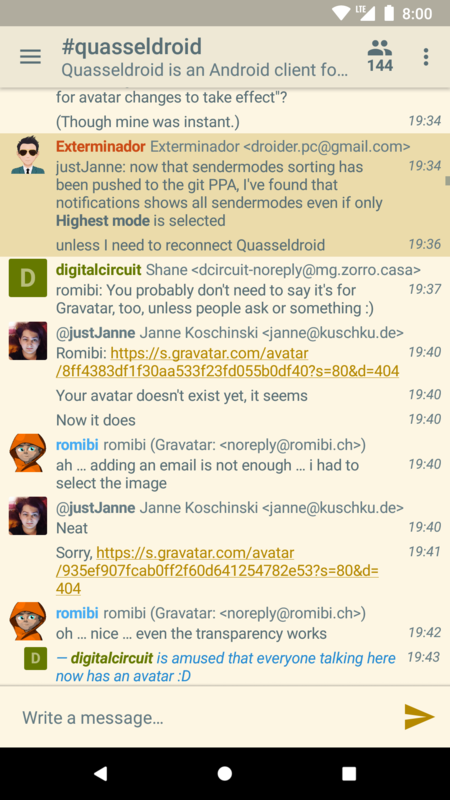 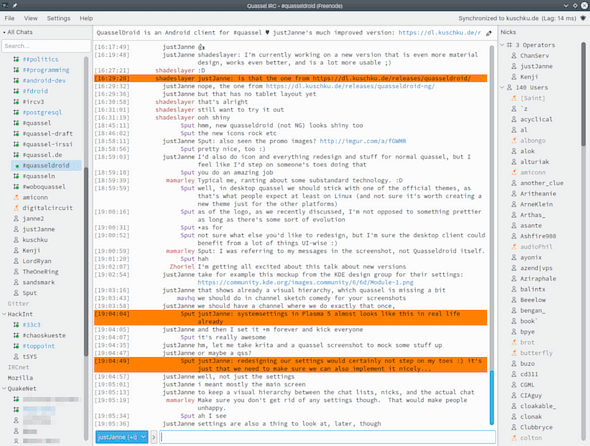 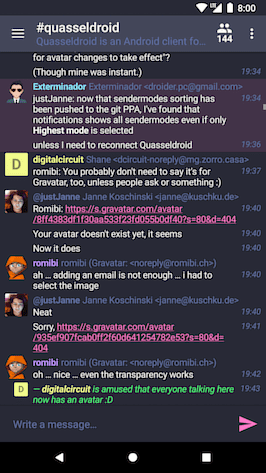 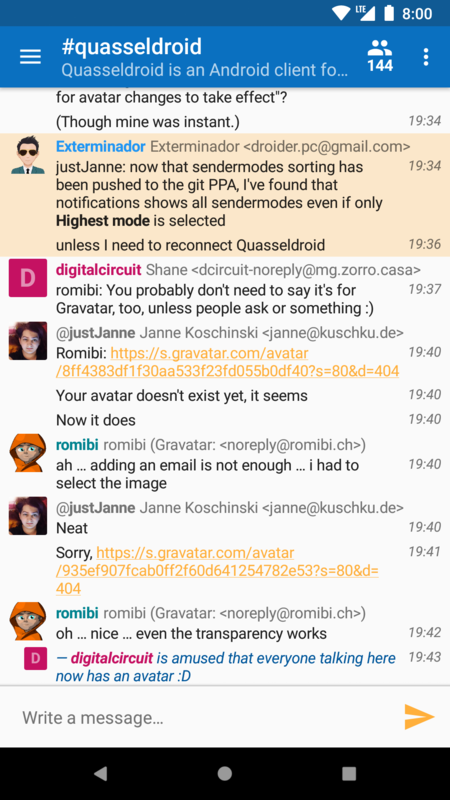 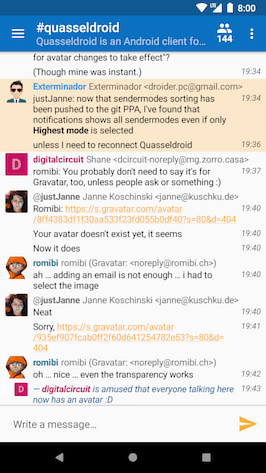 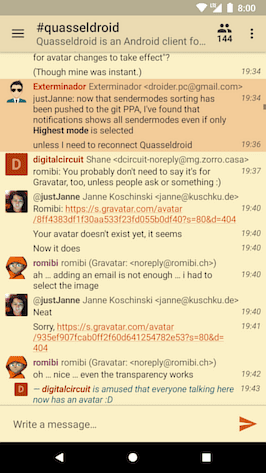 Quassel makes IRC fun again – open a client anywhere, connect to your core, and have all your favourite channels and networks right there. 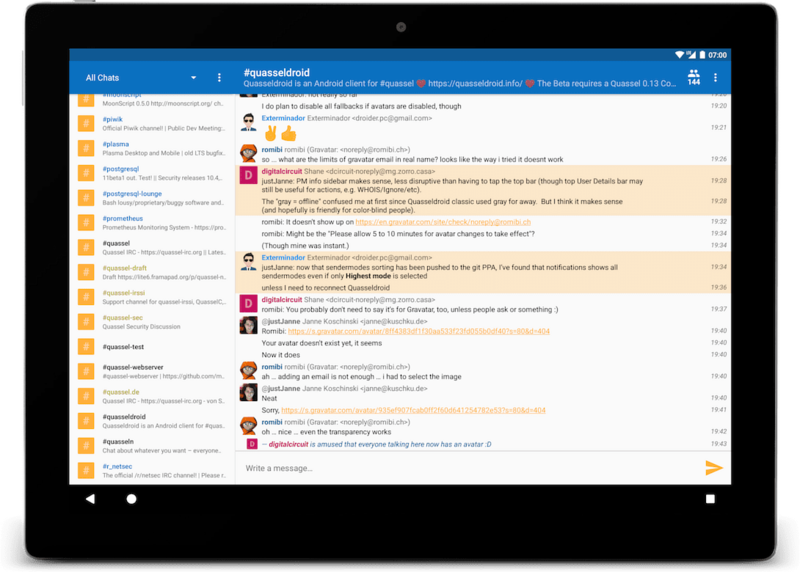 Be it at home with Windows, macOS, Linux, on the go with Android or iOS, or via the web. 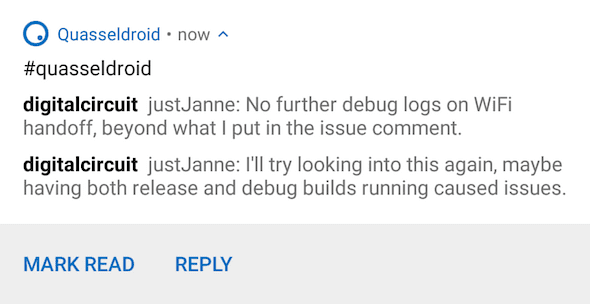 Everything is exactly the way you left it. 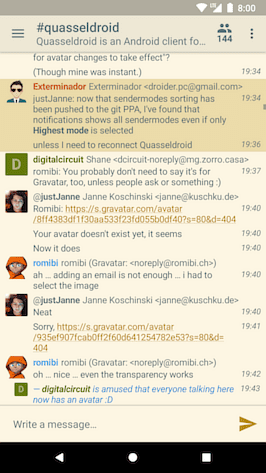 Always be up to date with push notifications in Quasseldroid. 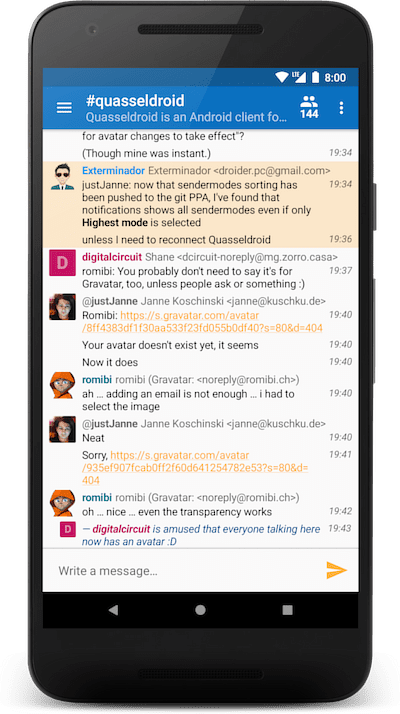 Once you’ve set up the app, it automatically ensures you always get notifications – without affecting your battery runtime. With many available themes, and the ability to change every little bit of the UI to your liking, you can truly customize Quasseldroid however you’d like. Special themes for every situation – be it AMOLED displays or holidays – are available, and improve your battery life or just look fancy.